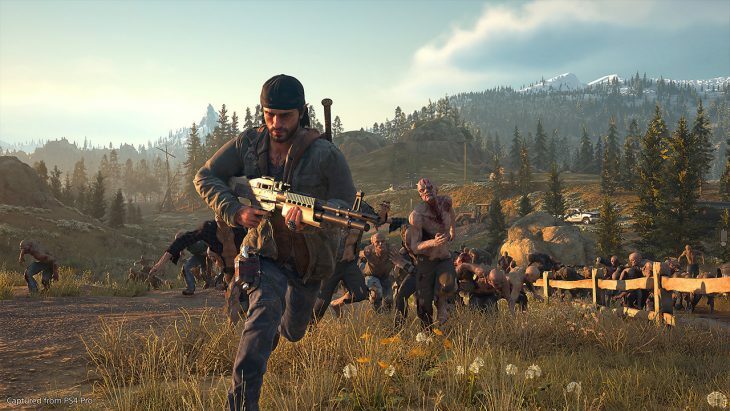 NEW YORK, NY – Sony Music announces the release of DAYS GONE (ORIGINAL SOUNDTRACK) with music by NATHAN WHITEHEAD (The Purge, He’s Out There, Delirium, Keanu). Available today, April 19, the soundtrack features music from Days Gone, the upcoming, open-world action game, which launches exclusively on the PlayStation®4 system Friday, April 26. The 25-track collection also includes features from rising artists Jack Savoretti, Billy Raffoul & Zander Reese, as well as “Days Gone Quiet,” performed by Scottish singer-songwriter Lewis Capaldi. April 19, 2019 – Warner Bros. Interactive Entertainment and NetherRealm Studios today released the official Mortal Kombat 11 Launch Trailer set to a remix created by international DJ, Dimitri Vegas and 2WEI, of the song “Techno Syndrome,” an iconic, cultural staple of the Mortal Kombat franchise since 1995. In the trailer, Kronika, the Keeper of Time, has signaled for a new era to begin as she tries to rewind time to its beginning and restart history. In order to restore balance to the realms, players must take on the role of numerous fighters from different eras, culminating in the ultimate generational clash as current characters collide with their past selves. The launch trailer features both cinematic story moments coupled with crushing gameplay showcasing the growing roster of confirmed playable fighters in Mortal Kombat 11, including Scorpion, Raiden, Sub-Zero, Sonya Blade, Skarlet, Baraka, Geras, Kano, D’Vorah, Kabal, Jade, Johnny Cage, Cassie Cage, Erron Black, Jacqui Briggs, Kotal Kahn, Noob Saibot, Liu Kang, Kung Lao, Jax Briggs, Cetrion, The Kollector, Kitana and Shao Kahn. FOR IMMEDIATE RELEASE – April 18th, Gliwice, Poland – The time has finally come for us to show you how Chernobylite feels and plays. Watch the video and shroud yourself in an ultra-realistic survival horror experience set in the Chernobyl Nuclear Power Plant and Prypyat Ghost City. It’s also worth to add the game to your wishlist on Steam (https://store.steampowered.com/app/1016800/Chernobylite/) not to miss any updates on its further development. And if you’d like to chat with developers directly you can join the game’s Discord channel (https://discord.gg/mehRmzY). The final poster for Disney and Pixar’s “Toy Story 4” is now available. Plus, check out the new TV spot that debuts today. Woody (voice of Tom Hanks) has always been confident about his place in the world, and that his priority is taking care of his kid, whether that’s Andy or Bonnie. So, when Bonnie’s beloved new craft-project-turned-toy, Forky (voice of Tony Hale), declares himself as “trash” and not a toy, Woody takes it upon himself to show Forky why he should embrace being a toy. But when Bonnie takes the whole gang on her family’s road trip excursion, Woody ends up on an unexpected detour that includes a reunion with his long-lost friend Bo Peep (voice of Annie Potts). After years of being on her own, Bo’s adventurous spirit and life on the road belie her delicate porcelain exterior. As Woody and Bo realize they’re worlds apart when it comes to life as a toy, they soon come to find that’s the least of their worries. Directed by Josh Cooley (“Riley’s First Date?”), and produced by Jonas Rivera (“Inside Out,” “Up”) and Mark Nielsen (associate producer “Inside Out”), Disney and Pixar’s “Toy Story 4” ventures to U.S. theaters on June 21, 2019. April 18, 2019 – A contemporary re-imagining of the 1988 horror classic, CHILD’S PLAY follows Karen (Aubrey Plaza), a single mother who gifts her son Andy (Gabriel Bateman) a Buddi doll, unaware of its more sinister nature. April 18, 2019 – Six Flags Great Adventure, the World’s Ultimate Thrill Park, celebrates Spring Break April 19 through 28. 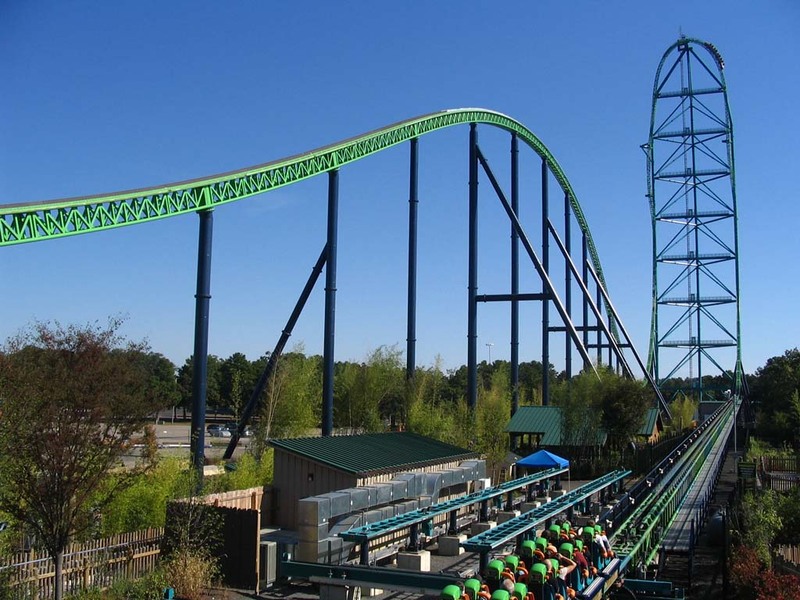 The park operates daily and features cutting-edge thrills like CYBORG Cyber Spin and JUSTICE LEAGUE: Battle for Metropolis, family favorites like Bumper Cars and SkyWay, and chart-topping coasters like El Toro and Kingda Ka. The whole family can embark on the ultimate animal adventure on Safari Off Road Adventure, see small, exotic animals up close on the Wild Walkway and check out the new show Quest of the Pinniped Pirates featuring playful California sea lions. Park guests can visit Metropolis to catch a glimpse of the park’s record-breaking, new ride, WONDER WOMAN Lasso of Truth, opening in late May. Towering a staggering 17 stories tall, this jaw-dropping, spinning disk will reach speeds up to 75 miles-per-hour as it spins and swings to breathtaking heights. Six Flags Great Adventure and its neighboring Six Flags Hurricane Harbor water park are currently hiring for 4,000 fun and fast-paced summer positions. Applicants can visit the Six Flags Employment Center daily or attend a spring job fair May 4. Before attending any spring hiring event, new applicants must visit www.sixflagsjobs.com to complete an online application. More information is available atwww.sixflags.com/greatadventure/special-events/hiring-events. Spring Break runs daily April 19 to 28 from 10:30 a.m. with varying closing times. Six Flags Great Adventure, 1 Six Flags Blvd., Jackson, NJ 08527. Vienna/Austria, Offenburg/Germany, April 18th, 2019 – We wish you and your loved ones a Happy Easter 2019! We’ve been searching Easter eggs for two weeks straight and found… a new trailer! Dive into an emotional trailer (including an eerie cover version of Pixies – ‘Where is My Mind?’), which invites the blizzard right into your living room. Austin – Developer askiisoft and slow-mo enthusiasts Devolver Digital have launched their much-anticipated narrative-action game Katana ZERO on Nintendo Switch and PC [katanazero.com]. Katana ZERO uses a radical dialog design to provide subtle and surprising detours to the narrative path based not only on what the hero says to others, but when he says it or if he interrupts the conversation. Katana ZERO follows the mysterious tale of a lone swordsman dealing with a clouded history and challenges players to navigate the story through both an unreliable narrator and an increasingly unreliable reality. Katana ZERO is available now on Nintendo Switch, Steam, GOG, and Humble Store. Visit katanazero.com for a cool website and possible secrets. April 17, 2019 – 20th Century Fox has released the final trailer for DARK PHOENIX. To honor the passion of X-Men superfans, some of the biggest X-Men fans around the world were selected to experience the final trailer first. Now that they have received it, we can share it with you! Burbank, Calif. – April 16, 2019 – Warner Bros. Interactive Entertainment, NetherRealm Studios and Intersport today announced the Mortal Kombat 11 Pro Kompetition 2019/2020, the inaugural season of the global esports program featuring the latest installment of the iconic Mortal Kombat franchise.